PROTECTING THE CHILD: THE STORY BEHIND LELAHELL's "ALIF." 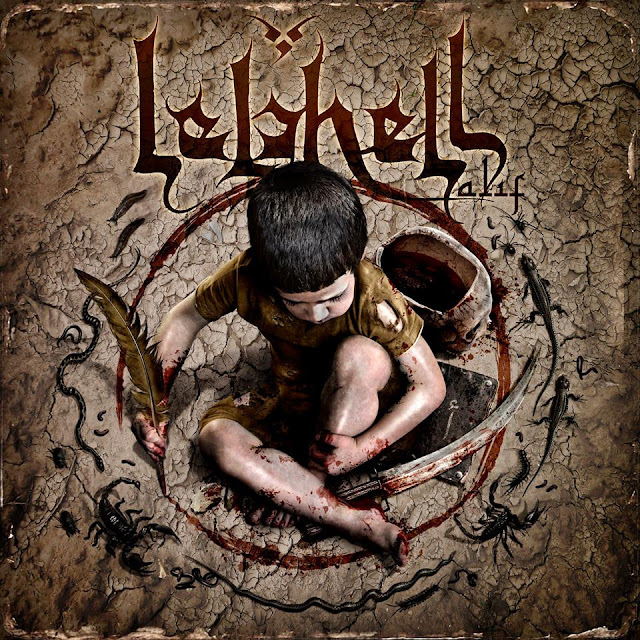 Lelahell is a fierce Algerian death metal band currently recording their second album, titled "Alif" featuring a cryptic-yet-iconic cover artwork courtesy of German artist, Björn Gooßes of Killustrations. 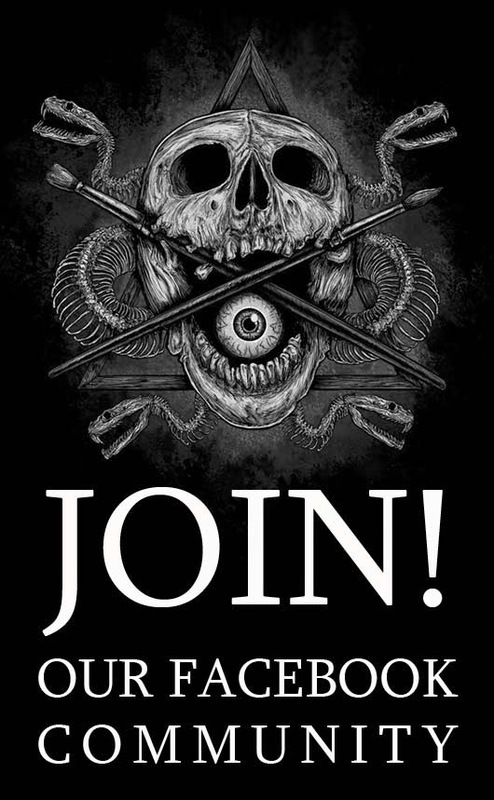 "When Lelahell got in touch regarding a possible artwork, I knew this would be something special," Gooßes comments, exclusively for And Justice For Art. "Guitarist/singer, Aouameur Redouane, approached me with a quite elaborate lyrical concept about a person named Abderrahmane and his tale of woe. I had to convert that into a striking image and I came up with Abderrahmane sitting on desert soil, while drawing a circle of blood around him in order to protect himself from danger. I think it turned out to be a quite unusual image and hopefully captures the feeling Lelahell wants to evoke with their music." In addition, guitarist/vocalist, Redouane, comments: "Each Lelahell release is conceptually linked to the character of Abderrahmane, yet focusing on another evolutionary step—another chapter in his own book. In the lyrics of our first EP "Al Intihar" Abderrahmane is tired of his own life full of constraints, so he commits suicide. Our first album "Al Insane... the (Re)Birth of Aberrahmane" deals with his rebirth. Our new album "Alif" is now focusing on Abderrahmane's first steps in his new life, just like a child learning to speak, walk, learning about the world around him. Yet this is full of foes and fears, that's why Abderrahmane needs to save himself from those dangers. Killustrations' interpretation of this concept with Abderrahmane sitting amidst a blood circle in a vermin-infested desert perfectly captured the mood we had in mind." Lelahell is currently running a crowd-funding campaign to raise the funds they need to finish the album. Help them to reach their goal. See more details at Indiegogo.